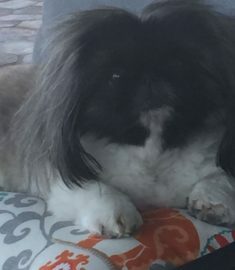 I have had Pekingese all my 60+ years. Kate is, without a doubt, The Best Pekingese I have owned. She is friendly, and smart..(not always the case with some Peke’s I have had). Everyone loves Kate that meets her. I asked people if they would clone the best dog they ever ha and the resounding answers was “YES!”. Since she is now 11 I don’t want to lose the opportunity to have another “Kate” should she pass away. My heart would never be the same without her.